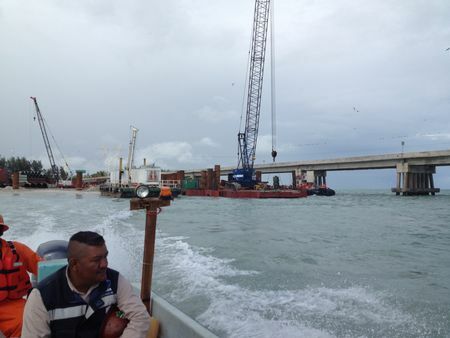 Puente de Amistad (the friendship bridge) project is being headed up by contractor Tradeco in Mexico from la Ciudad Del Carmen to Isla Aquada will sit a bridge or causeway that is a 3200 meter long structure in the state of Campeche. Project design will be of the causeway construction starting at both ends of the islands working towards the middle to an eventual connection point to make one giant causeway for more convenient travel and accessibility between islands. 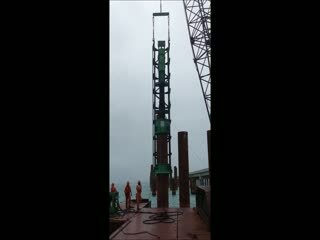 Some techniques and specifications being used include driving casings in to drill out and fill up with caging concrete or reinforcement casings measured at 48 inch and 60 inch diameter. 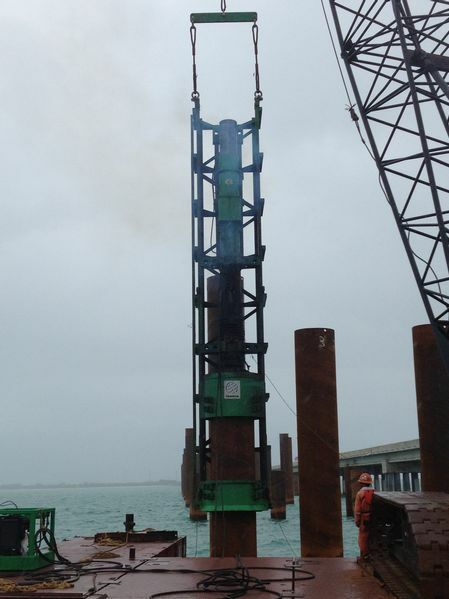 Steel casings are driven in four-twenty foot sections. 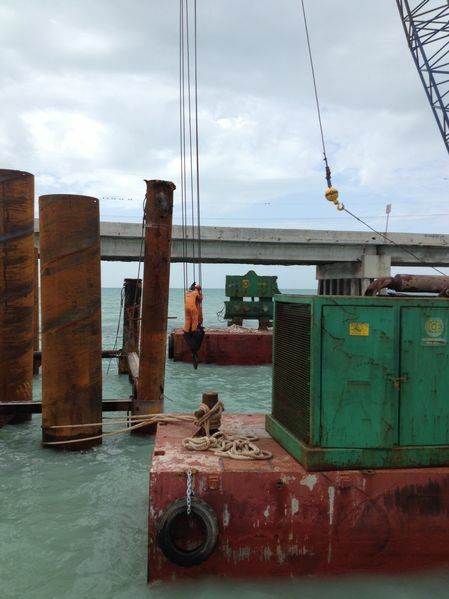 A very common practice used in this project makes up for land that is otherwise in existent, creating a ramp by building up dirt filled areas to walk cranes and load equipment on the barges. ICE is the main source of equipment on this project. 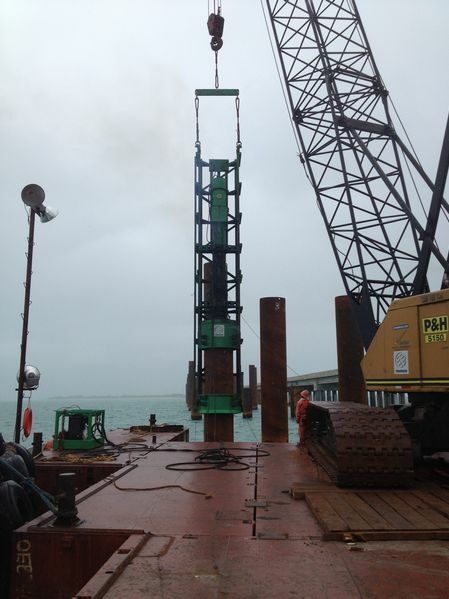 Tradeco is currently using a 66C Hydraulic vibratory hammer, a 44B Hydraulic vibratory hammer and a I-62 diesel hammer with offshore leads. 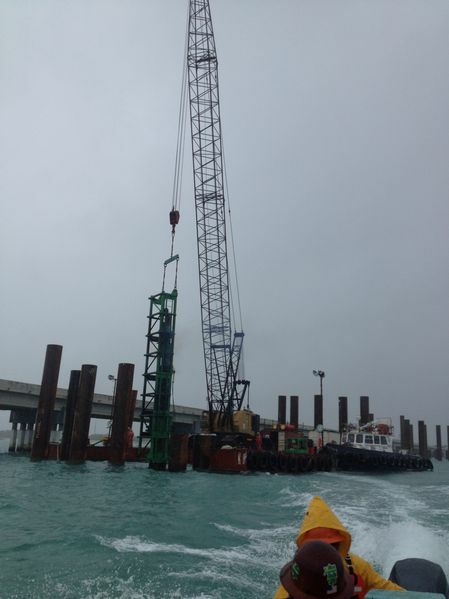 As construction progresses 2 additional 66-80's will be used to help complete the project. La Puente de la Amistad project began in March 2013 at this point the foundation process will be completed in December and the estimated completion date of La Puente de Amis tad will be in late 2014.